Opened in 2010, Morris MOT Centre has a wealth of experience, not just in the motor trade but more specifically in MOT testing. With brand new testing lanes and high quality facilities, why go anywhere else? Morris MOT Centre is situated in a fantastic location in the heart of Stratford-upon-Avon. Just a 5 minute walk to the Maybird shopping centre and only 10 minutes into the town so there's no need to worry about waiting around for your MOT. The only place for car, van & motorcycle MOT's in Stratford-upon-Avon is now open 7 days a week. So, if your struggling to get the time off work, why not book your vehicle in on either Saturday or Sunday. 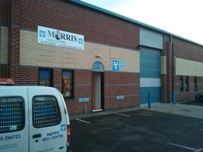 Morris MOT Centre is an MOT centre in Stratford-upon-Avon which opened in 2010. 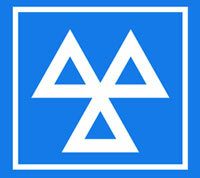 We offer MOT's for cars, small vans and motorcycles as well as servicing, welding and repairs. Although the MOT Centre is relatively new, we have 40 years of experience in the motor trade. This means brand new equipment in experienced hands. The MOT Centre is kitted out with a brand new top quality class 4 MOT bay and separate motorcycle lane. We are capable of testing class 1, 2 and 4 vehicles. The workshop is in the heart of Stratford-upon-Avon, near the town centre and just a short 5 minute walk from the Maybird shopping centre. Morris MOT is also open on saturday and sunday. The MOT centre also boasts high quality facilities including disabled access with a disabled toilet and a customer viewing area with seating all finished to a high standard. For more detailed information about the facilities available, please check our facilities section.